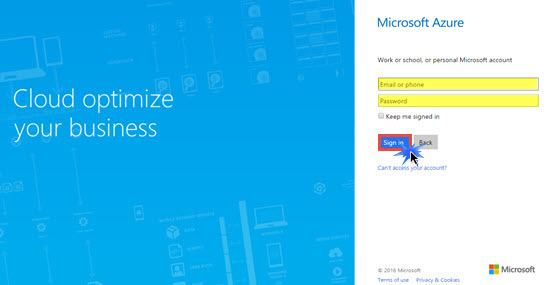 Note: You must have a Window Azure Account in order to perform below steps. 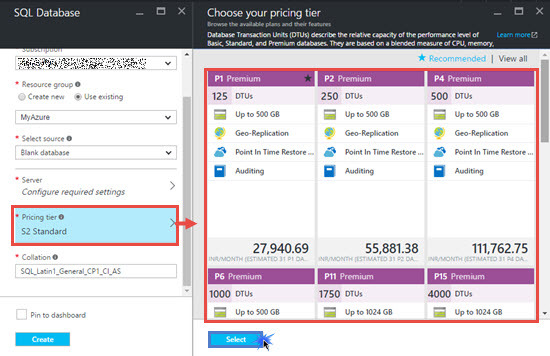 You can create an account on Windows Azure using the following link http://www.windowsazure.com/en-us/pricing/free-trial/. 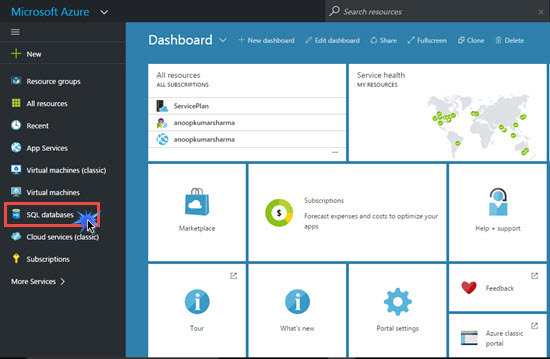 First of all, you need to login in Microsoft Azure portal. Click on SQL Database to open SQL Database blade. Click on Add SQL database. Type a valid name for your database. 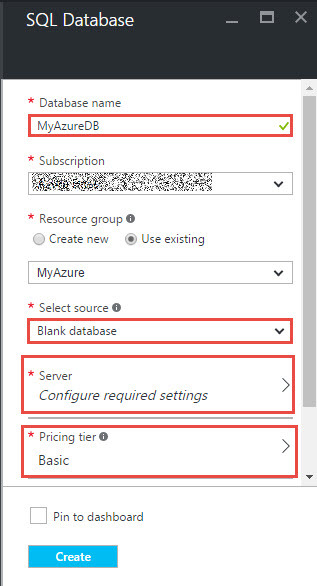 Under Select source, select Blank Database. You can also select the sample database, like AdventureWorks etc. 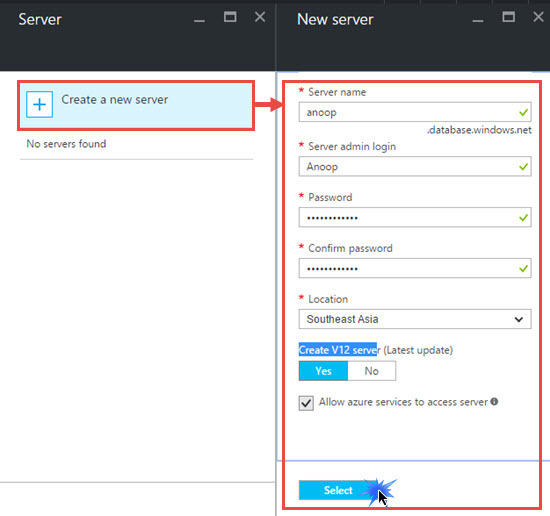 Click on Configure required settings and then click on Create a new server on server blade. Fill Server name and server admin login details. Click on Select. Choose your pricing tier and click on Create. Within a few minutes, you will see the online status in SQL Database blade which means our database is ready for use. 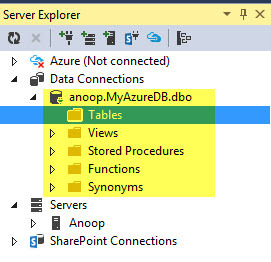 Click on SQL Database name i.e. MyAzureDB. In order to connect your application to Database, you need a connection string. Click on Show Database connection string. 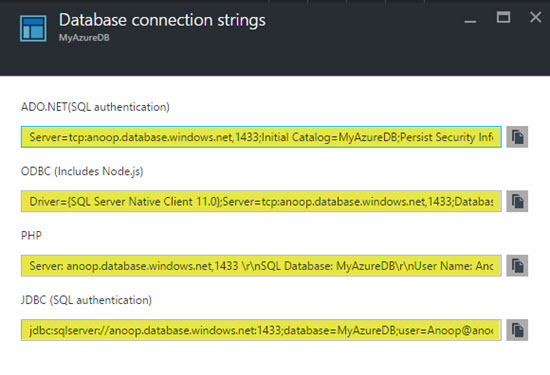 You will get connection strings for ADO.NET, ODBC, PHP etc. applications. 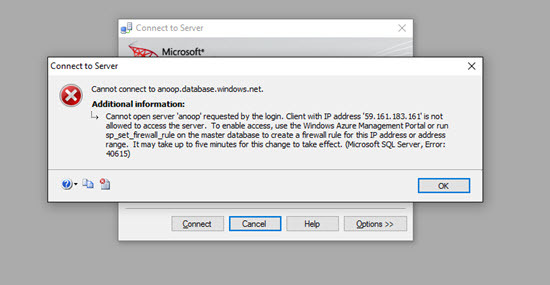 If you try to connect your Database with your local SQL Server, you will get an error i.e. “Cannot connect to server”. 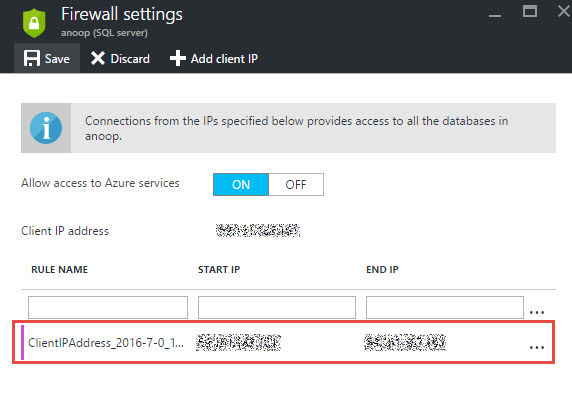 To enable access, we have to configure firewall level setting in Azure portal. 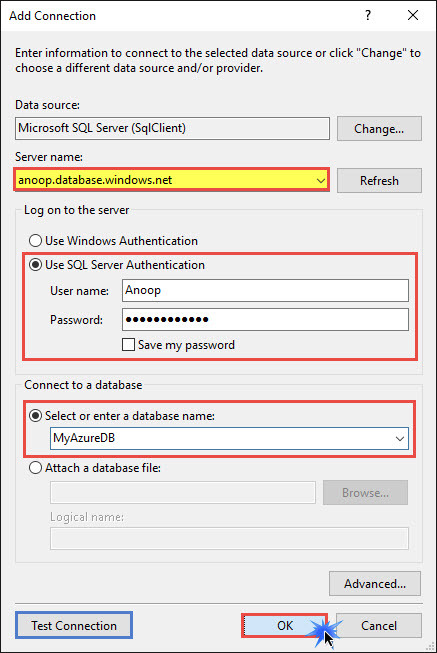 Go to SQL Server Database and Select your database. Click on more link and subsequently click on set server firewall. 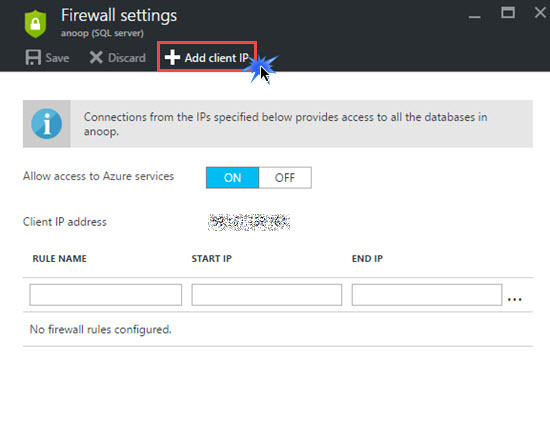 Click on Add Client IP or you can allow a range of IP addresses in firewall setting blade. After that, you will see you client IP Address in added to your firewall settings. If everything is fine, you will get a success message. 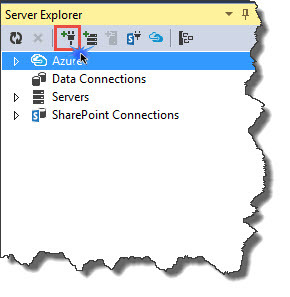 Now open Visual Studio and Go to Server Explorer and click on Add Connection. Enter your database information and click on OK in order to connect. 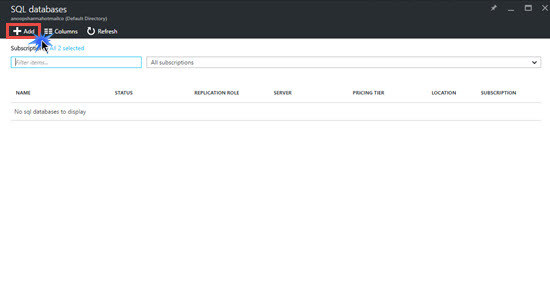 or Open your SQL Server and Enter your server details and click on connect. Cheers! 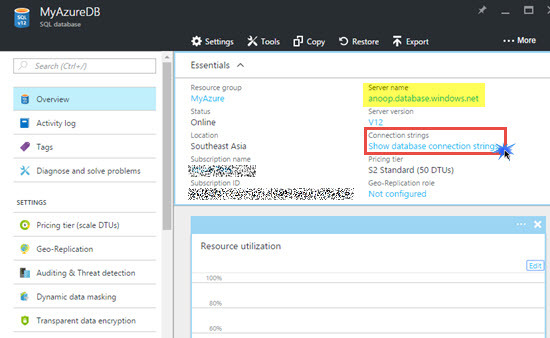 We have successfully connected to SQL Server Database hosted in Microsoft Azure. Hi Dear, I want to Write An Article, Can You Give me a Single Website Link. Hi Dear, I am Asif Ali from Learn2Free. Can I write tutorial or article on your website. Can You give me my website reference link. Kindly reply me. Thanks. Hi Asif,Thanks for showing interest in writing an article. Please contact me via contact form so that we can share further details easily.